There is no building envelope which a creative architect can envision that a poorly designed or performing HVAC system cannot destroy. Conversely, a well-performing HVAC system can often compensate for a marginally designed (or constructed) building envelope to the point that mold and moisture problems may never be noticed. However, even an exceptionally well-performing HVAC system cannot compensate for a poorly designed wall system. Recently, LBFG and NCARB developed an online course for architects, contractors, and developers that teaches how to avoid these kinds of problems. This course is based upon a significant upgrade to the popular 2003 Mold and Moisture Prevention Monograph. Visit http://bit.ly/1Y3kOFd for more information. LBFG has extensive expertise in investigating and resolving construction and design deficiencies in the Mid-Atlantic and Southeast states, as well as in Mexico, Canada, the Caribbean, Central America, China, Europe, UAE, Hong Kong, Maldives, and Singapore. 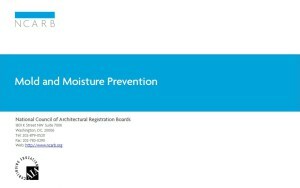 LBFG staff have authored 3 manuals that are currently serving as industry standards for avoiding and resolving mold and moisture problems, including both the NCARB training monograph used by architects worldwide and Disney’s in-house design guidelines.